Preferred attack - statistics on number and type of used recovery methods. Attack time - analysis of time spent on each recovery method. 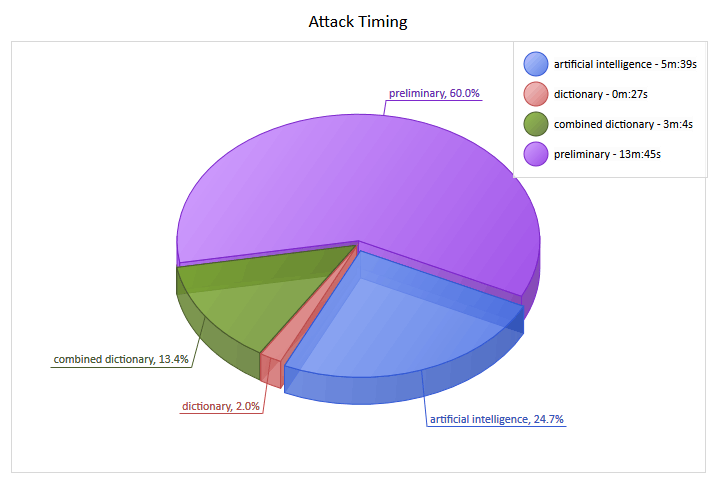 Attack efficiency1 - time spent vs. passwords found during attack ratio. Attack efficiency2 - overall efficiency for each attack.